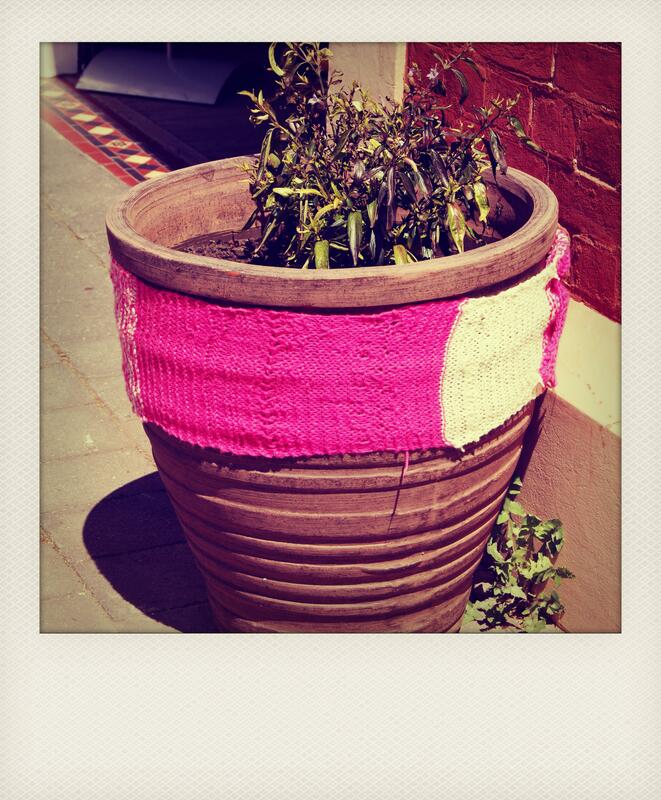 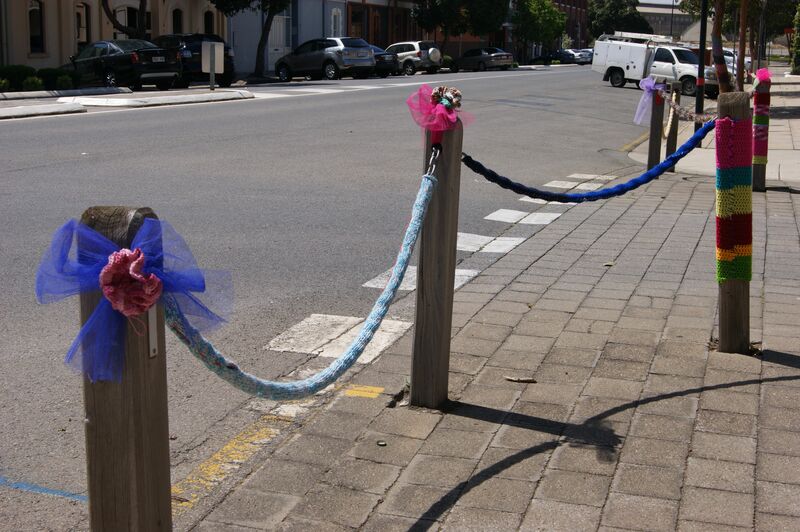 YARN BOMBING & KNIT GRAFFITI ARE THE NEW STREET ART IN PORT ADELAIDE. 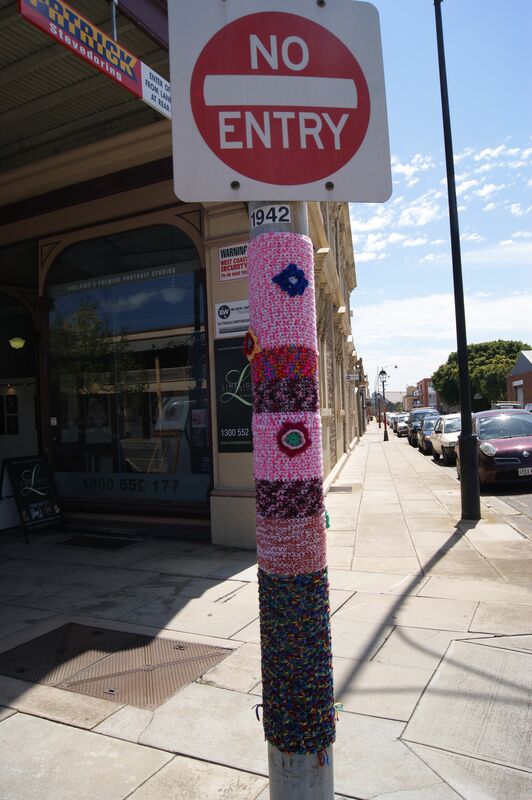 This entry was posted in Uncategorized and tagged craft, knit graffiti, photography, port adelaide, street art, yarn bombing on November 12, 2012 by yarnbomb. 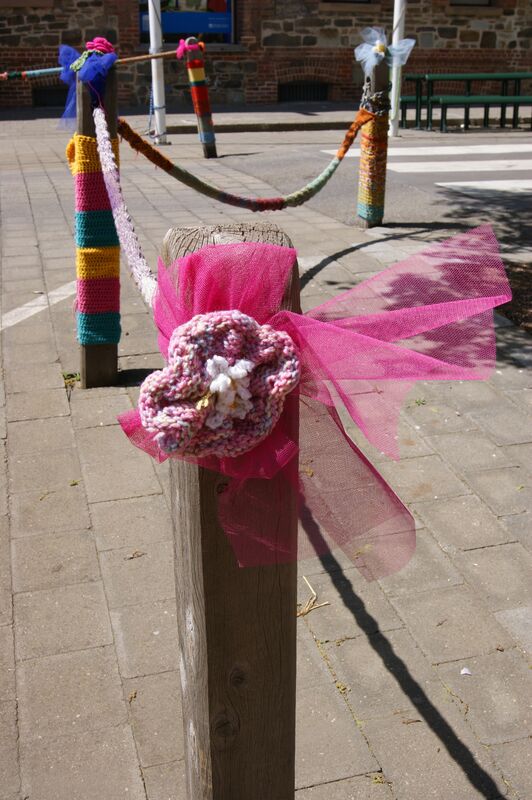 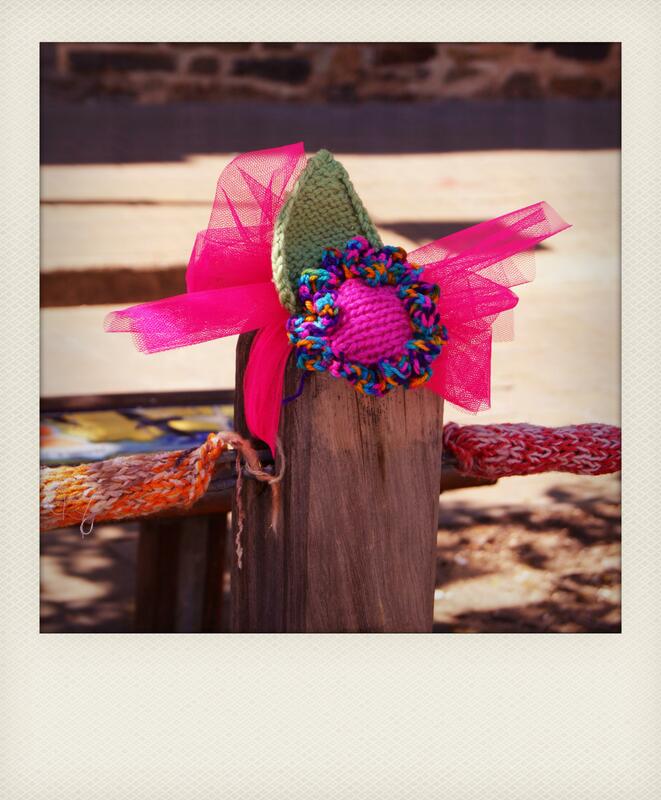 YARN BOMBING CONTINUES TO BE A FUN & CREATIVE MIX OF TRADITIONAL CRAFT & STREET ART. 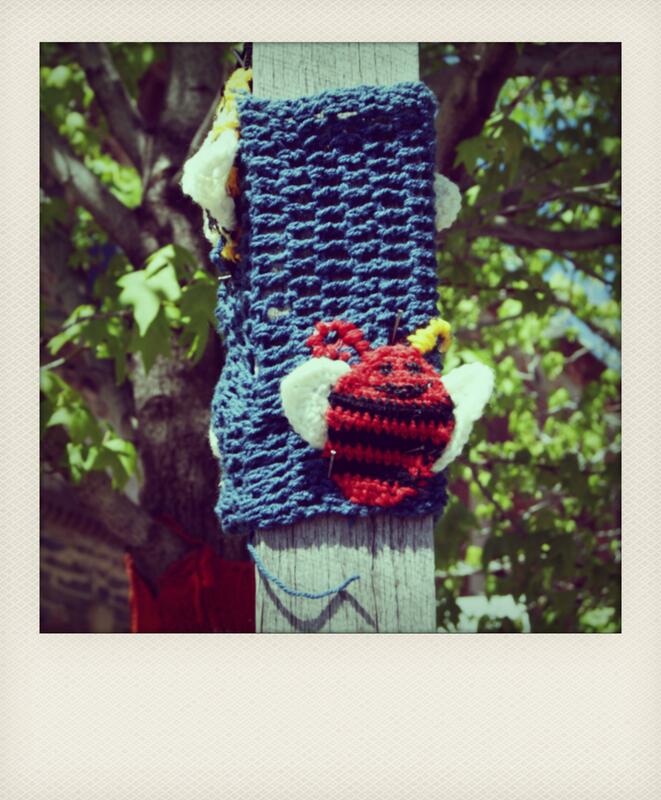 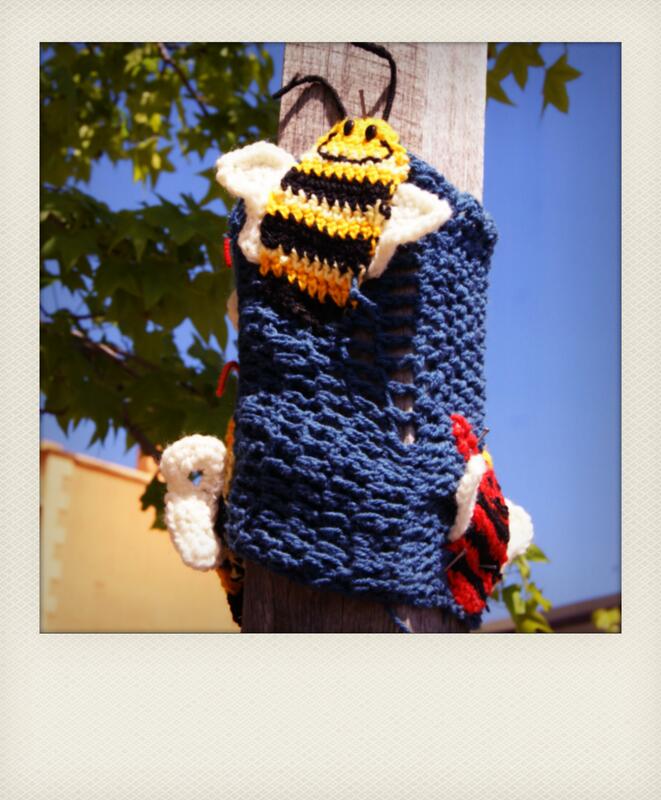 THESE SWEET KNITTED BUGS & BEE’S HAVE BEEN STITCHED TO A STREET SIGN. 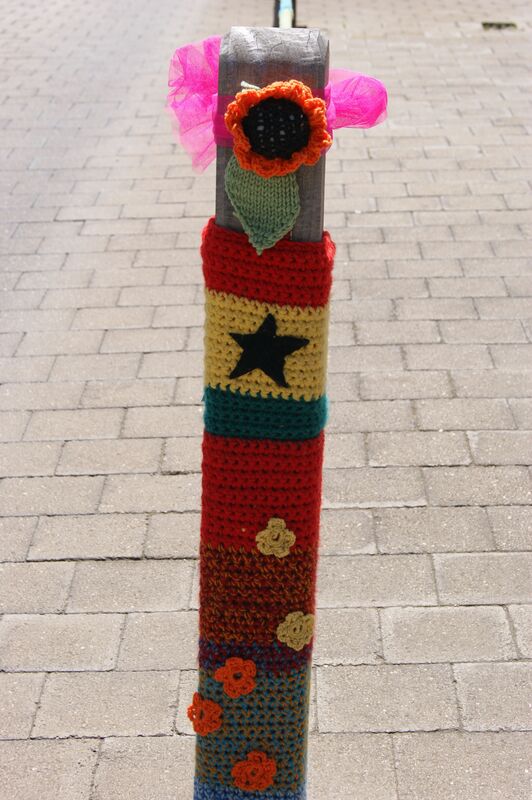 CROCHET BUTTERFLIES ADORN THIS YARN BOMBED POLE OUT THE FRONT OF MY LOCAL MP’S OFFICE. 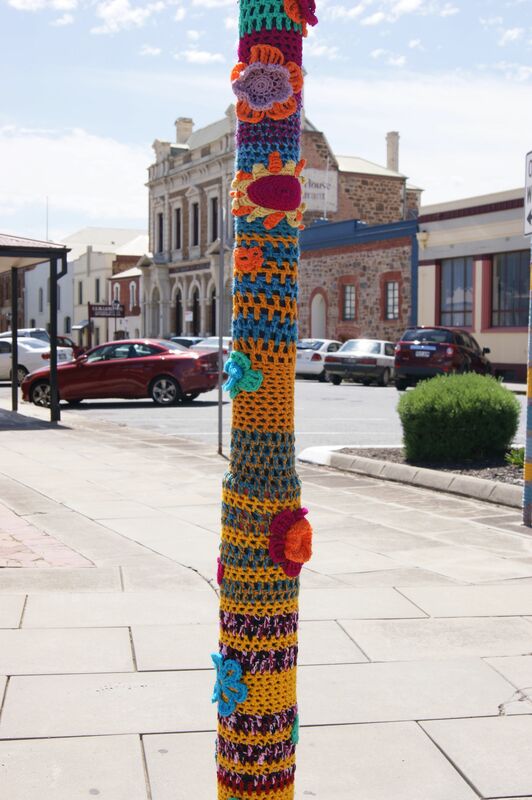 YOU REALLY CAN YARN BOMB ANYTHING & YOU DON’T NEED TO BE A MASTER CRAFTSPERSON JUST BASIC KNITTING OR CROCHET SKILLS ARE ENOUGH OR YOU COULD JUST CUT UP OLD JUMPERS & SEW THEM ONTO TREE’S, POSTS, FENCES & TOYS. 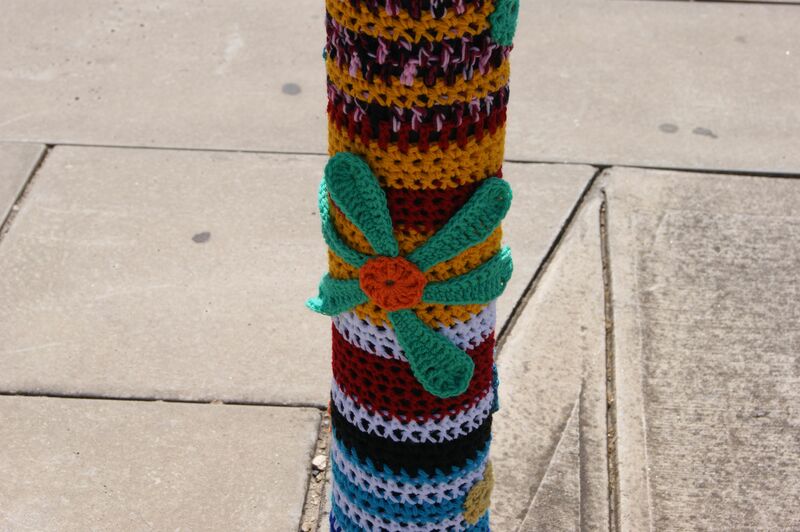 WHAT I REALLY ENJOY ABOUT YARN BOMBING IS THE WAY IT BRINGS A KIND OF ALICE IN WONDERLAND FEEL TO EVERYDAY OBJECTS. 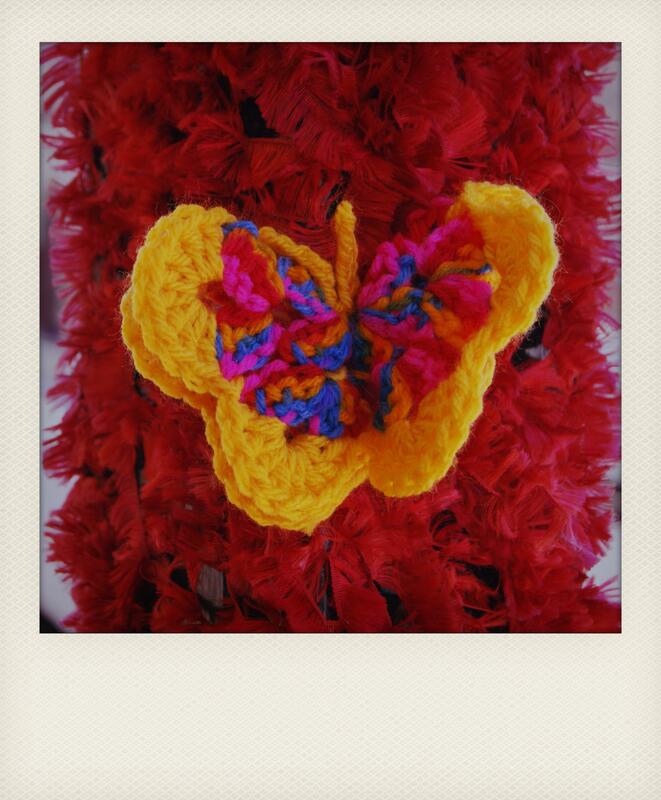 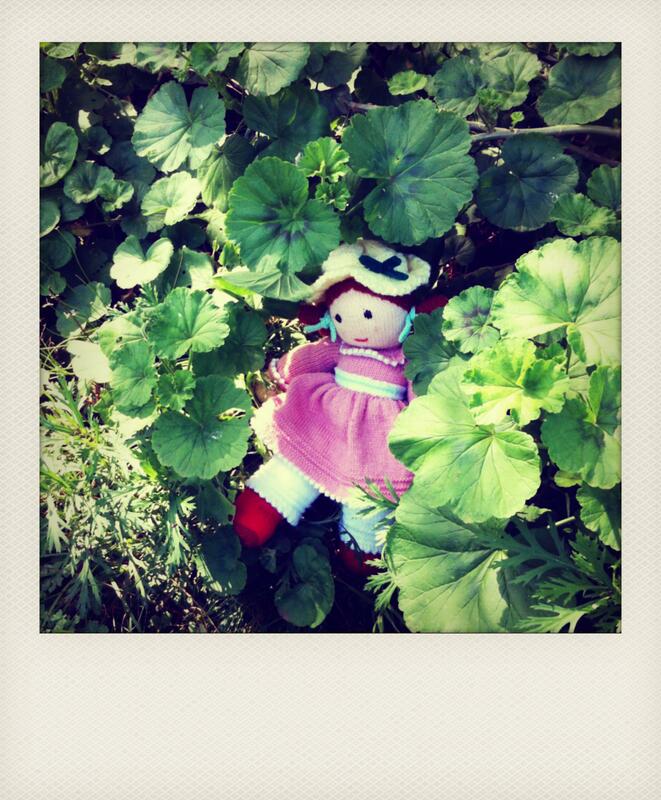 This entry was posted in Uncategorized and tagged craft, crochet, knitting, photography, polaroid, street art, yarn bombing on November 10, 2012 by yarnbomb.